They can diagnose, treat and help prevent diseases and conditions (through immunisations, advice and medication), and refer on to specialists when the need arises. For example, if you attend your GP’s practice and they feel you need to see a rheumatologist for your arthritis, they can refer you to one of your choosing or a local rheumatologist – or one they recommend. You can bring your children to your GP for common childhood illnesses, vaccines, paediatric health checks and general advice. Older patients can request medication reviews in conjunction with a pharmacist, or blood pressure checks. Some GP practices even have imagery available, such as x-rays and ultrasounds, and ECGs. There is a drive at the moment for people to first seek their General Practitioner for advice, unless it is an emergency. Your local GP can assess and treat colds, flus, basic sprains and strains, lacerations and other minor injuries, as well as carry out minor surgical procedures such as removal of moles, stitching cuts and washing of wounds. Emergency rooms should be saved for real emergencies. Some GPs have extra training in some areas, or have an area that they enjoy practicing in. This doesn’t make them a specialist as such; however their knowledge in that area will be slightly more comprehensive than that of a GP without that expertise. Many GPs bulk bill, which means there is no gap to pay when you visit them. Some don’t take bookings, so you can wait a while to see them (most of the time these are the bulk-billers) however some take bookings (although this doesn’t necessarily mean they don’t bulk bill). 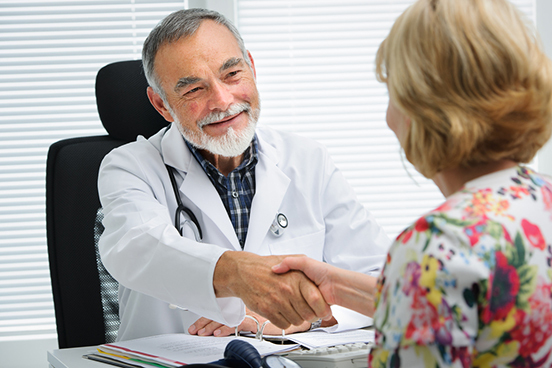 A General Practitioner should be your first port of call for all non-emergency situations. Find a good one you can build a working relationship with, who listens to you and looks after all aspects of your health, not just your physical.